One day on a visit with Sandy and her nurse, we played with Sandy’s favorite toy and assisted her as she activated it. Sandy had multiple disabilities and difficulty with communication. After she played a little by touching buttons to turn on music, I turned Sandy’s toy off and asked her if she wanted to play again. She sat there, unmoving, so I asked her to show me that she wanted to play. After pausing longer than I ever had before, and watching her entire body for clues that she was communicating, she raised her left arm up off of her wheelchair tray. I instantly turned on her toy and praised her, asking if she was saying she wanted to play. After a short play period, I turned of the toy again. By now her nurse thought I was just being mean but I explained how I thought Sandy was communicating by raising her arm. I asked Sandy to tell me again if she wanted to play more and I waited. Within a few seconds, she lifted her arm again. This was her first “word.” When I showed her mother on the next visit, her mother cried and said that she’d never had a way to communicate with her daughter until now. Alex had cerebral palsy and found coordinating purposeful movement extremely difficult. This led to people (including me) either doing things for him or using hand over hand support to “help” him with everything. One visit, I was amazed that he was able to put a shape into his puzzle with the piece placed in his hand and his mother providing support at his elbow. It took him easily a long 30-40 seconds to coordinate the movement but he was able to do it. If his mother hadn’t tried waiting him out, we would have taken his hand and “helped” him do it like we usually did. When we waited, we learned that he could do it himself. He knew more than we had given him credit for, and with waiting, he was able to show us what he knew. Jackson was trying out his new gait trainer in his mother’s kitchen. He was smiling and happy to be upright but struggling to move his legs. After practicing moving his legs with the PT’s help, we decided to wait him out to see what he could do. After looking at us like “why aren’t you helping me?” and watching as we encouraged him, Jackson dragged one toe forward, clearly attempting to walk. This step was the first of many. When Devon wanted to go outside, he would go to the door that led to the backyard and whine. He did this one day during a visit and his mother automatically got up to open the door. I hopped up too and we decided to use this as an opportunity to help Devon learn a word. Devon’s mother and I talked and she decided to teach him to say “out.” I suggested she move down to his eye level, prompt him for “out” by enunciating the word, pointing to her mouth, and pause with an expectant look on her face for him to imitate. She prompted him a few more times before he made an “o” with his mouth which we happily took as his attempt to say “out.” By the next visit, his mother had taught him to say “ow” instead of whining to go outside to play. Using pausing requires two things: patience and respect for a child’s efforts, whatever they look like. Pausing doesn’t always work the first time you try it. It usually requires that you teach the child what you expect him to do by repeating the routine, maybe using hand over hand prompting or verbal prompting, then fading out that support. Using the same 1-3 word prompts helps too so that the child associates your direction with what he’s learning to do. Some children can take up to 45 seconds to process what you say and respond so be patient. I don’t remember where I learned about waiting this long, but it worked well over the years, especially with children with more significant developmental needs. Some children will have shorter wait times, and you have to figure how how long to wait before they lose interest or become too frustrated, and before you or the parent provides help. Waiting until the child is completely upset is never effective, but pausing long enough that the child is motivate to act can work well. It’s a balance that you’ll figure out through trial and error. 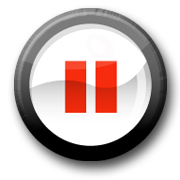 Teach parents about pausing. It’s often easy to forget to pause and wait for the child to show you what he can do, especially in the busy-ness of everyday life. Learning to pause helps the parent create the expectation that the child will do something, whether it be look, make a sound, approximate a word, or move a body part. This expectation is critical to the development of independence, self-confidence, and communication. A simple pause can make a world of difference! Do you have more examples of how you’ve used pausing with children? How do you teach parents about pausing? Share your ideas and examples by leaving a comment below. Be sure to follow the comments so you don’t miss out on other’s ideas! Pausing is such an effective strategy for language development. I also like to ensure that the child understands and remembers the prompt or question, so after waiting if there is no response, I’ll usually re-ask the question or rephrase it depending on the child or complexity of the question. Another thing I like to do is, prepare the child for what’s going to happen (which is why routines, like you stated are so important! ), so I may say something like, “Devon, I have a question…” Another great article, Dana! Thanks Kimberly! Re-asking/Rephrasing the question after waiting for a response is a wonderful strategy. I know you have lots of great ideas so I’m wondering what suggestions you have for when you re-ask and you still don’t get a response at all (no sounds, no eye contact)? Hi Dana! Sorry for the delay, I hadn’t seen your question. Before I ask a question or make a comment, first I want to make sure I have the child’s attention and he is engaged and interested in what we’re doing. If the child hasn’t responded, and is not looking at you then, you don’t have his or her attention. Gather his attention by making yourself or your face the most interesting thing in the room. Working in close proximity works too sometimes (all depends on the child). Try to eliminate other distractions and if you find that he or she is interested in something else – then incorporate that interest into the session and take it from there. Great ideas, thanks! I like how you say to make yourself the most interesting thing in the room. I’ve heard of people wearing a bright hat or scarf in the child’s favorite color to draw attention to the face. I’ve also heard of a mother who wore bright lipstick to orient her child to looking at her face when she spoke.